Computer Security is the detection and prevention of the use of your laptop or computer by unauthorized users. 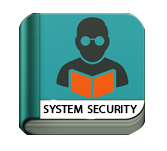 Computer Security is the process of safeguarding your personal or office based resources against trespassers for their own gains or gaining access accidentally. This tutorial is an introduction to the basics of Computer Security and how to deal with its various components and sub components.Computer Security is mainly helpful for those professionals who are within the IT industry, IT Specialists, System administrators, and Security administrators. One can easily understand the concepts of computer security if you have a basic knowledge of how an organization or a company works. Prior exposure on how to carry out computer updates regularly, setting up firewalls, antiviruses. that will a help to you in understanding these concepts.